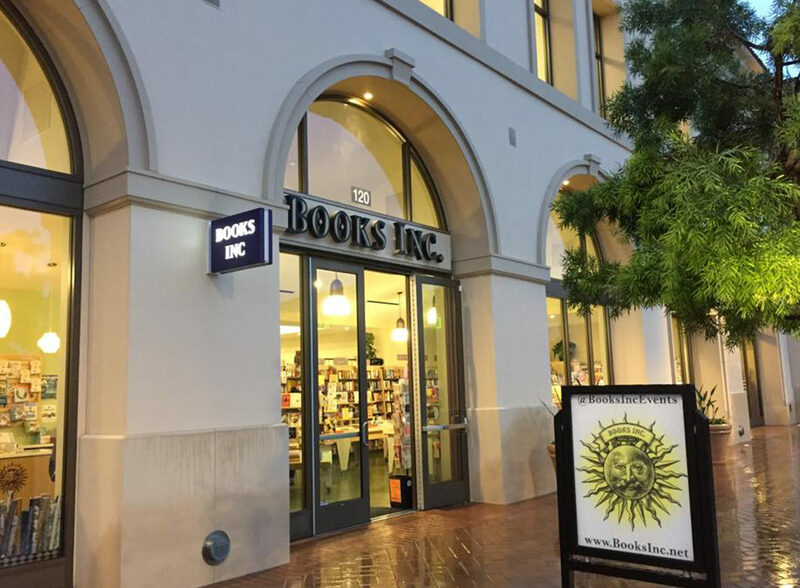 In this Indie Love Story, we are profiling Books Inc. in San Francisco. We met with Hannah Walcher, who is the coordinator of their extremely popular Not Your Mother’s Book Club. After graduating without any publishing job prospects, I moved to California and researched bookstores. The closest one to me was Books Inc. I dropped off my application, and they called me a couple of days later. It was probably the best thing I’ve ever done. And don’t tell my father this, but if I had gotten my job at Books Inc. BEFORE grad school, I don’t think I would have ever gone. I love bookselling. 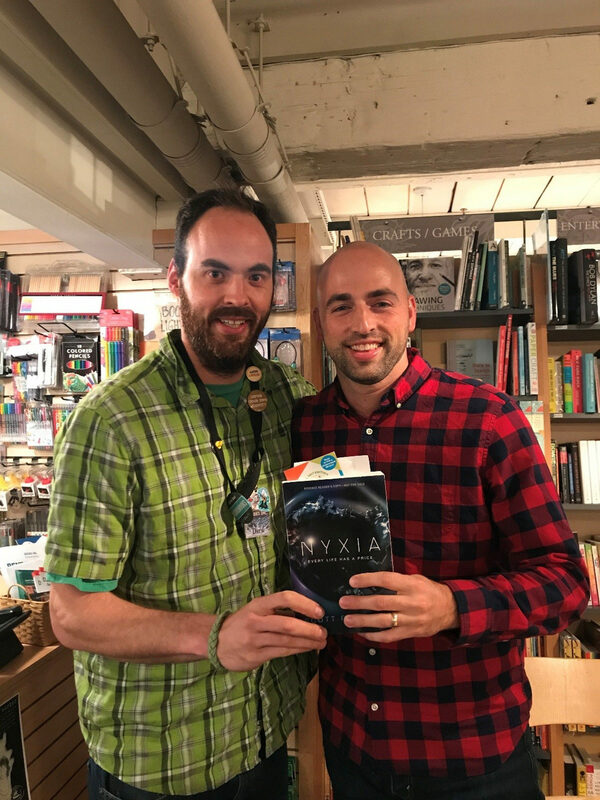 Books Inc. bookseller Drew poses with Scott Reintgen in celebration of Nyxia at our store in Palo Alto. Books Inc.’s origin dates back to the gold rush of 1851 when Anton Roman struck it rich in Shasta City, California, and set up a business selling books. That small bookstore was moved, bought, sold, burned, rebuilt, renamed, and became Books Inc., as we know it today, in 1946. So I’m not sure anyone remembers how the name came to be, but we have lovely history as the Bay Area’s oldest independent bookstore. 166 years. Definitely the Bay Area’s OLDEST independent bookstore. We’ve expanded and downsized as necessary, but today we have eleven locations. The newest one, in Santa Clara, opened in 2016, and we have another one scheduled to open in Campbell in 2018! 4. What is your favorite part of working at an independent bookstore? Apart from being able to gush about my favorite books to customers, finding the perfect book for a young reader, and the wonderful people I work with, the best part of working at an independent bookstore is the atmosphere of growth that Books Inc. provides its employees. They see your strengths and passions, and they allow you to follow them. For example, with my background in publishing and passion for helping writers, I pitched a new workshop idea for educating writers about the publishing industry. My boss loved it so much she told me to run with it. All my coworkers at Books Inc. have been so encouraging and supportive. I’m positive I wouldn’t have had the same opportunity at a chain bookstore. Have I mentioned we’re the oldest? 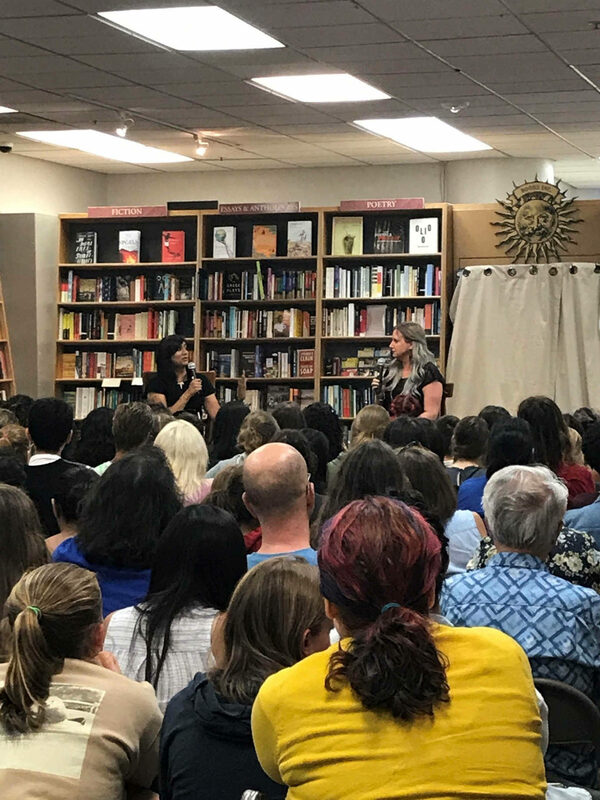 On top of that, about twelve years ago, an employee noticed the uptick of young adult sales, and they were genius to suggest that Books Inc. offer an event series that specifically showcases young adult authors. And that’s how Not Your Mother’s Book Club (NYMBC) was born. Over the past twelve years, we’ve hosted hundreds of authors, including John Green, Leigh Bardugo, M .T. Anderson, E. Lockhart, Jandy Nelson, Marissa Meyer, and many, many, MANY more. As I mentioned, Books Inc. has eleven stores throughout the San Francisco Bay Area, and we try to cater our stores to each neighborhood. We truly are blessed to have such a wonderful literary community, made up of multiple independent bookstores, authors, and book lovers. 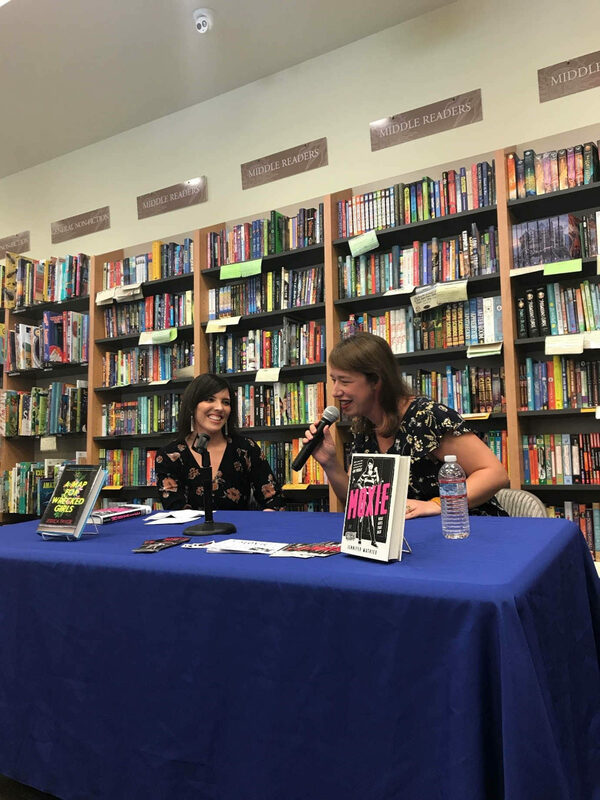 Authors Jessica Taylor and Jennifer Mathieu talking about their new YA novels A Map for Wrecked Girls and Moxie at our store in Berkeley! We do! Part of what we do with Not Your Mother’s Book Club is collect a portion of our event sales into a fund, which we use to spread the joy of literacy throughout the Bay Area. For example, we might fund a school visit or donate books to a school in need. We also started our first teen advisory board at our newest location. We’re planning on expanding that to include regional teen advisory boards, so stay tuned! We also have a couple of teen book clubs: I host First Looks, which reads advance reader’s copies, out of our store in Burlingame. We also have the Alameda Queer Teen Book Club, and we offer a teens-only version of our new educational program on publishing. Here you can see a portion of the crowd and Sabaa and Leigh chatting. 8. 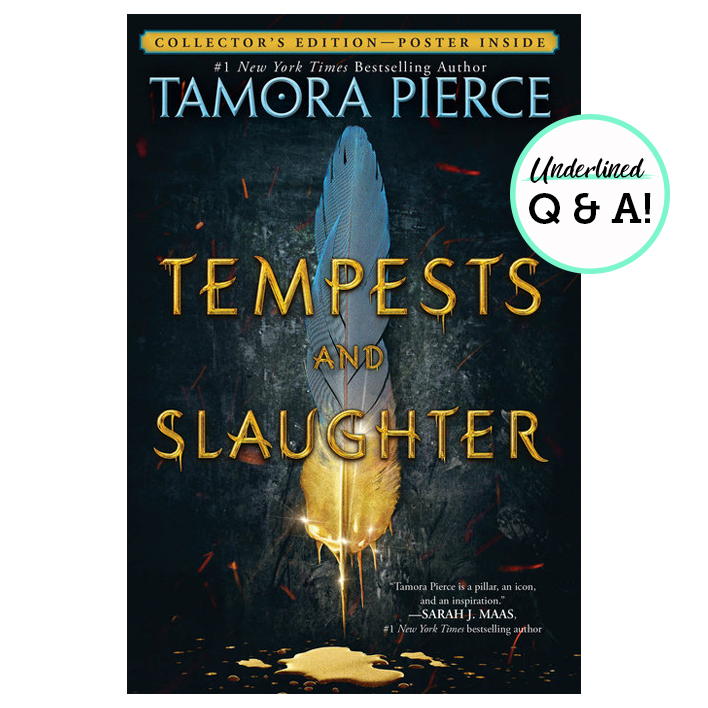 What is your favorite young adult book? It’s such a wonderful book about grief and healing and the love of books! I mean, just look at that cover. Stunning. This is perfect for those who love John Green and have already bulldozed their way through his books. Prepare yourself—you’ll need tissues, but you’ll love it just the same. Honorable mentions: The new DC Icons series! I love Wonder Woman, and Leigh Bardugo’s Wonder Woman: Warbringer was a perfect addition to her story. I also had the chance to read Marie Lu’s Batman: Nightwalker, and I finished it in one day! I was almost mauled by the First Looks book club for my one copy. I’ve requested more. . . .
9. What is your favorite book to give as a gift? Outrun the Moon by Stacey Lee. 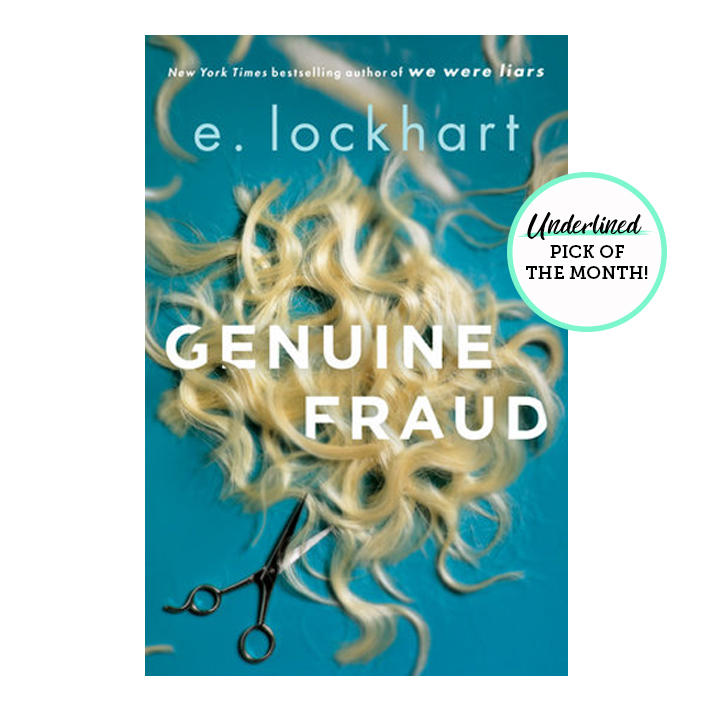 I love this book; it has action, suspense, history, and a strong, diverse female character you’ll root for. Also, Stacey Lee is a wonderful human being. 10. Any last words you want to tell our young readers? If you love books, find your local independent bookstore. Make friends with the booksellers because they LOVE talking about their favorite books as much as you do. Oh, and they might give you some free advance reader’s copies! Perks! Also, if the opportunity arises, apply for a job at your indie! 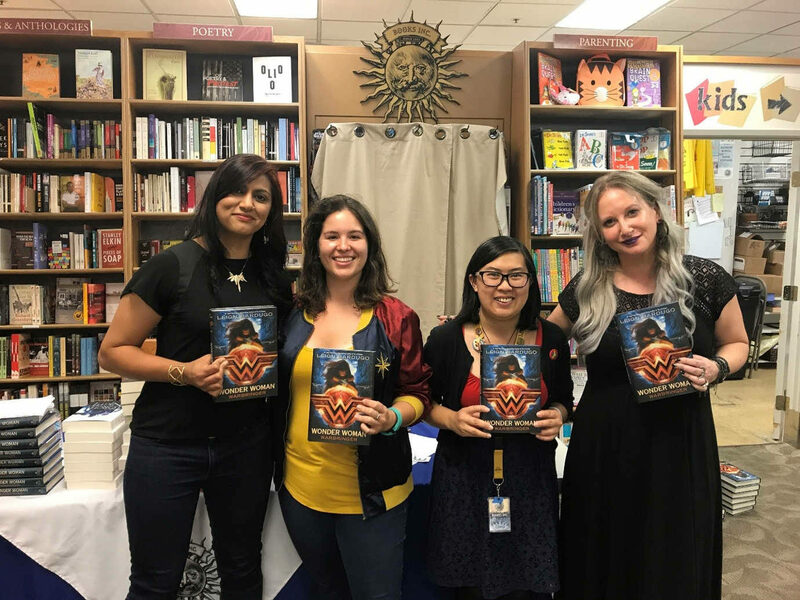 This was taken at our event for the release of Leigh Bardugo’s Wonder Woman: Warbringer. She was in conversation with local author Sabaa Tahir. I’m the one in the sweet Wonder Woman jacket, and Connie, in the middle, is a fellow bookseller and one of the first members of Not Your Mother’s Book Club! Follow Books Inc. and Not Your Mother's Book Club! Where should we go next on our Indie Love Story journey? Tell us at @GetUnderlined! Wow. Fantastic post. I loved it. I love reading books. Books are everything to me. Each book is a lesson. We can learn a lot from each books. It can help us to be a better person. And we can get a lot of books from bookstore. Working at a bookstore would be interesting.I think it is a great job. We can read a lot of books. As you said,it is better to make friends with booksellers. Because they have a wide knowledge about several books and they talking about their favorite books. So glad to read this post. i really enjoyed it.